A friar investigates a series of mysterious deaths at an abbey. 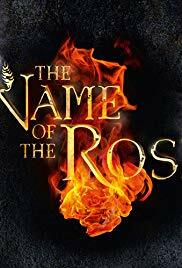 Television adaptation of Umberto Ecos novel The Name of the Rose. - We found the following seasons with subtitles for "The Name of the Rose"
Βρέθηκαν οι παρακάτω σεζόν με υπότιτλους για το "The Name of the Rose"
Βρέθηκαν 5 υπότιτλοι για τη 1η σεζόν της σειράς "The Name of the Rose"